Empire Day was instituted in 1904 by Lord Meath as an annual commemoration and celebrated on 24 May (Queen Victoria's birthday). 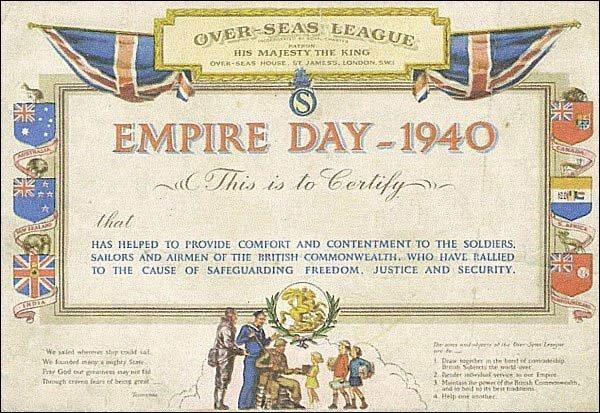 In 1958 Empire Day was renamed Commonwealth Day, in accordance with the new post-colonial relationship between the nations of the former empire. At the meeting of Commonwealth Heads of Government Meeting in 1976, a proposal of the second Monday in March was adopted.